Workers' Compensation In California: What Are Your Legal Rights After A Workplace Injury? What Are Your Legal Rights After A Workplace Injury? Whether your particular case meets workers' compensation eligibility requirements, it is highly advised to speak to an experienced workers' compensation attorney in Van Nuys or elsewhere in California. Workers’ Compensation In California: What Are Your Legal Rights After A Workplace Injury? Home > Blog > Workers’ Compensation In California: What Are Your Legal Rights After A Workplace Injury? On behalf of Koszdin, Fields, Sherry & Katz posted in Workers Compensation on Friday, May 04, 2018. A workplace injury is something people are never prepared for, so when they get injured on the job, many do not know what their legal rights and options are. If you do not know your rights, there is a high risk that your attempts to pursue a workers’ compensation claim will not succeed. Knowing your rights as an injured worker in California, on the other hand, can expedite the process of getting your workers’ comp claim approved and receiving payments for your medical bills, lost wages, loss of earning capacity, permanent or temporary disability, and other damages. Today, we invited our Van Nuys workers’ compensation attorney from the Koszdin, Fields, Sherry & Katz law firm to outline some of the most fundamental legal rights that you have as an injured worker seeking compensation for his/her on-the-job injury. 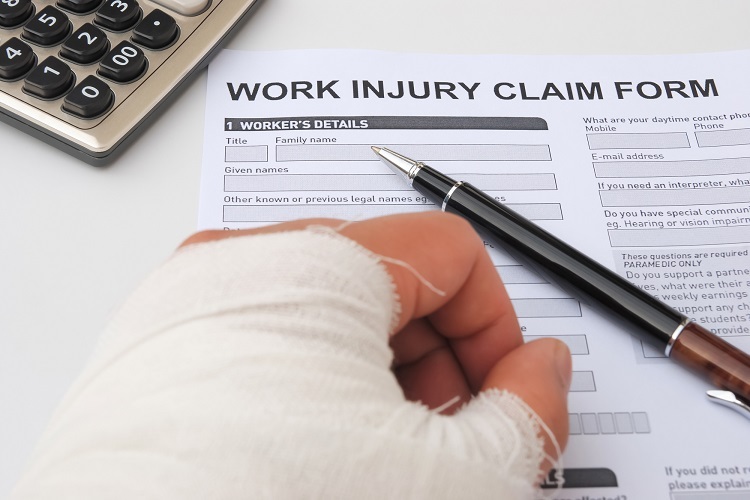 First and foremost, if you were injured in the workplace while performing your duties (the injury did not occur during a lunch or rest break), in the course of employment but outside of the workplace, or the injury was caused or aggravated by your work duties or workplace conditions, you may be entitled to workers’ compensation benefits. To find out whether your particular case meets workers’ compensation eligibility requirements, it is highly advised to speak to an experienced workers’ compensation attorney in Van Nuys or elsewhere in California. Family Medical Leave Act is a federal law that allows eligible employees to take unpaid, job-protected leave for certain family and medical reasons, including a workplace injury, for up to 12 workweeks. If you are covered by the FMLA, you will be able to maintain your health benefits during your medical leave. Many government workers in Van Nuys and all across California become part of retirement plans outside of the Social Security system. Many of these plans offer service-retirements and disability retirements. In order to qualify for a disability retirement, a worker needs to prove that his/her medical condition or injury is significant. It is advised to consult with a Van Nuys workers’ compensation attorney to find out if your particular injury qualifies for a disability retirement. Most workers in Van Nuys and elsewhere across California make contributions into Social Security in the course of their employment. Whether or not your particular case meets the Social Security disability eligibility criteria largely depends on your age and the number credits you have earned in your lifetime. In most cases, workers need 40 credits, half of which should have been earned in the past 10 years, in order to qualify for Social Security disability benefits. Younger workers, however, may be entitled to these benefits with fewer Social Security credits. Your disability has lasted or is expected to last for at least one year. The Americans With Disabilities Act (ADA), which covers both work-related and non-work-related injuries, requires employers in Van Nuys and all across California to provide reasonable accommodations – changes to the workplace or job – to qualified employees or job applicants with disabilities. You may be able to maximize your compensable damages by expanding the list of responsible parties in your case. In some cases, third parties can be held accountable for workplace injuries. For example, if you were injured as a result of using defective machinery, you may be able to file a product liability lawsuit against the manufacturer of that machinery (and possibly other parties) in addition to collecting workers’ compensation benefits from your employer’s insurance company. Have you been injured in the workplace and want to know your legal rights? Do not hesitate to speak to our best workers’ comp attorneys in California at the Koszdin, Fields, Sherry & Katz law firm. Get a free consultation by calling at 818-812-5639 or (toll free) 800-747-3447 or complete this contact form.